It’s day 4 of my first Trim Healthy Mama fuel cycle week! And like yesterday, it’s an E fuel day. This morning when I put on a favorite skirt, I noticed it was easier to zip. Woo! Breakfast @ 6:30 – Oatmeal with diced apple and collagen, soaked overnight in a little almond milk. I sprinkled on a little stevia and cinnamon, then topped it with a Vanilla Gluccie Pudding to help fill me up. Had a small cup of coffee with a dash of half and half. 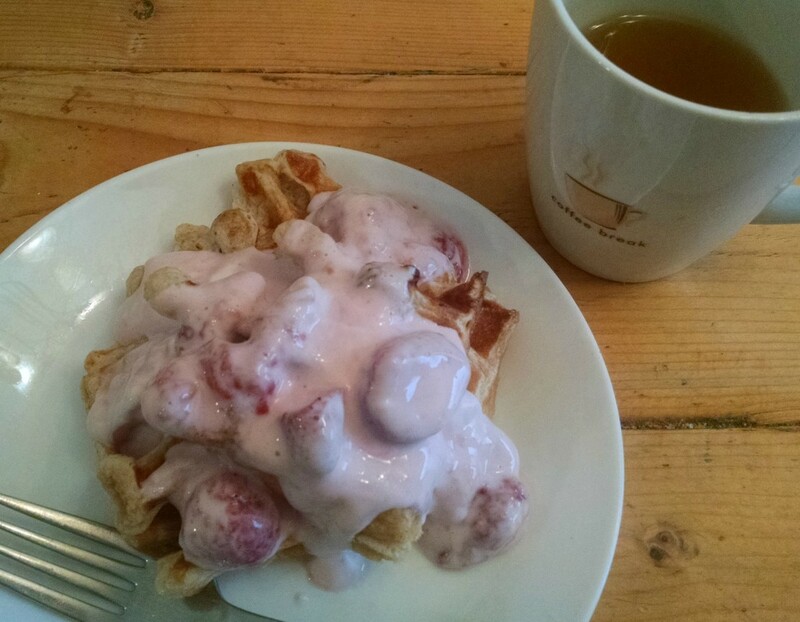 Snack @ 9:30 – Trim Healthy Mama E waffle, topped with 0% Greek yogurt and strawberries and two strips turkey bacon. Chamomile tea. Did you know what two strips of turkey bacon (at least the ALDI brand) contains only 3 grams fat?! That means I stayed well under 5 g.
Tip: When I make pancakes, waffles or oatmeal (in other words, something I eat warm), I like to put a few strawberries, sliced, into a small bowl with some Super Sweet and microwave it for 1 minute. It makes a nice juicy strawberry sauce! 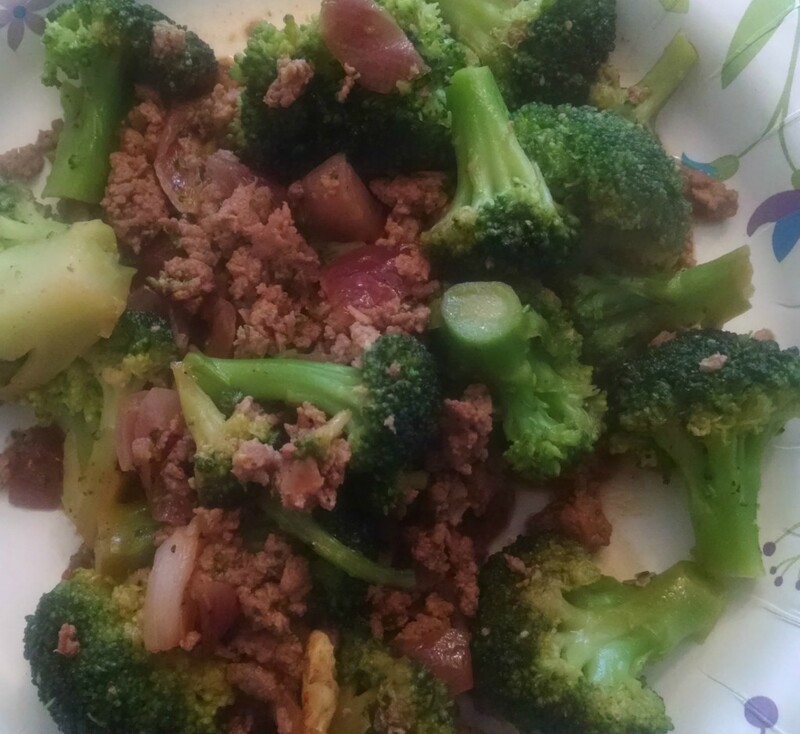 Lunch @ 1:30 – Broccoli stir-fry. It was rather delicious and I made it up on the spot. And it’s a Fuel Pull so I’m definitely remembering this. I could serve it over rice for E fuel, or make it with beef for S. I simply browned lean ground turkey with red onions and broccoli, then sprinkled on ginger, garlic, salt and pepper and red pepper flakes and a dash soy sauce. Yummy! For dessert I had a microwave Apple Crisp. (This is what gave me my E fuel, the broccoli stir-fry had no carbs.) I tried to cook it in my toaster oven, but it started burning on the top, boo! So microwave it was. I also pretty much made the recipe up on the spot. I sliced a small apple and topped it with 1/3 cup oats, a dash almond milk for moisture, dash salt, stevia, cinnamon. I would have added a little vanilla but I ran out. I really hope my order of Baking Blend and Oat Fiber arrive today, because it will be hard to do two days of Fuel Pull without them!!! Note to self: never, ever run out of either of those things. I really wish Trim Healthy Mama had autoship. I was forced to order those from Amazon because THM’s shipping is slower. I sipped on a Caramel Roobios Shrinker today. I made it with two Roobios tea bags and added caramel extract. Yum! 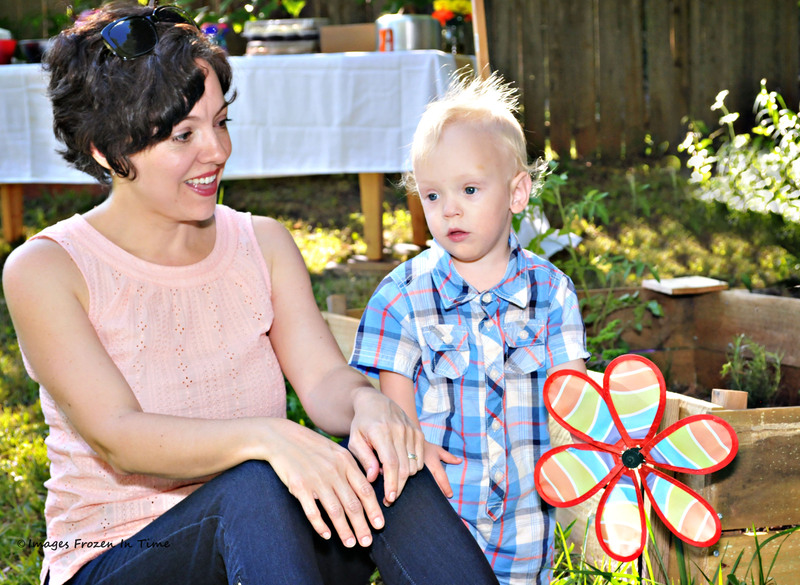 Next Post: Trim Healthy Mama Fuel Cycle Day 5: Fuel Pull!